Friends Travel Vietnam’s - premium selected cruise trips combine the meaningful small-group travel experiences we’ve made famous with a little more polish. 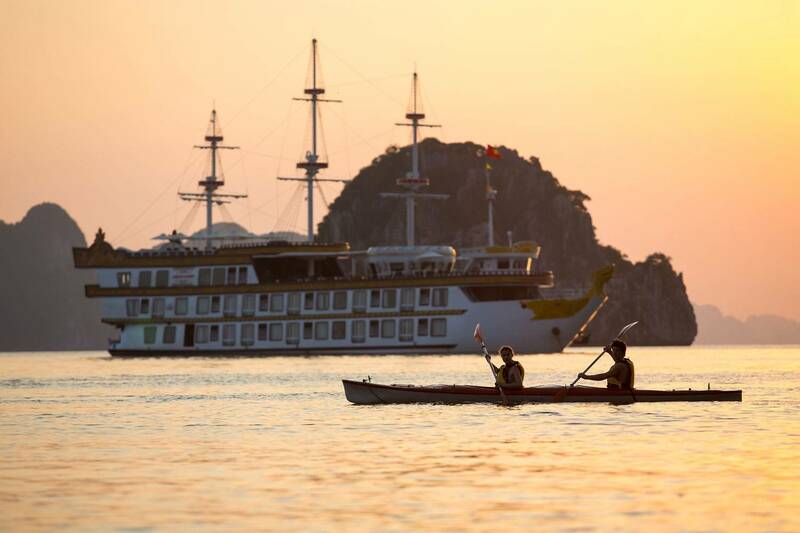 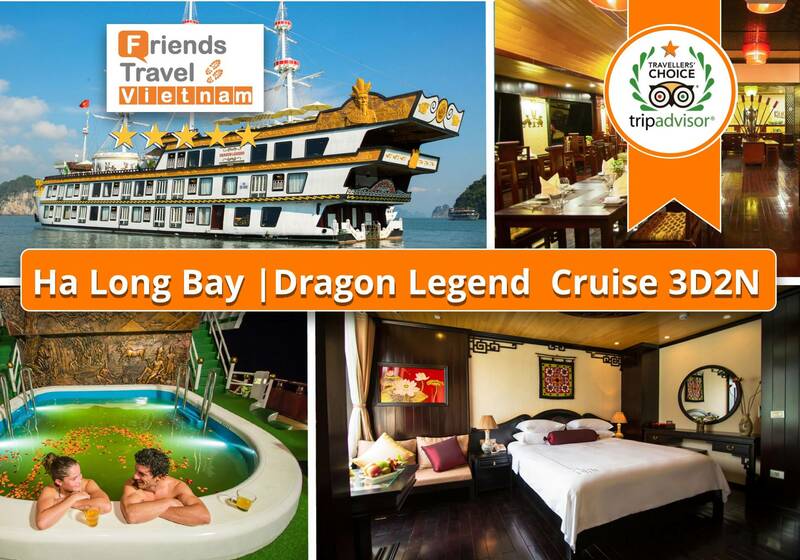 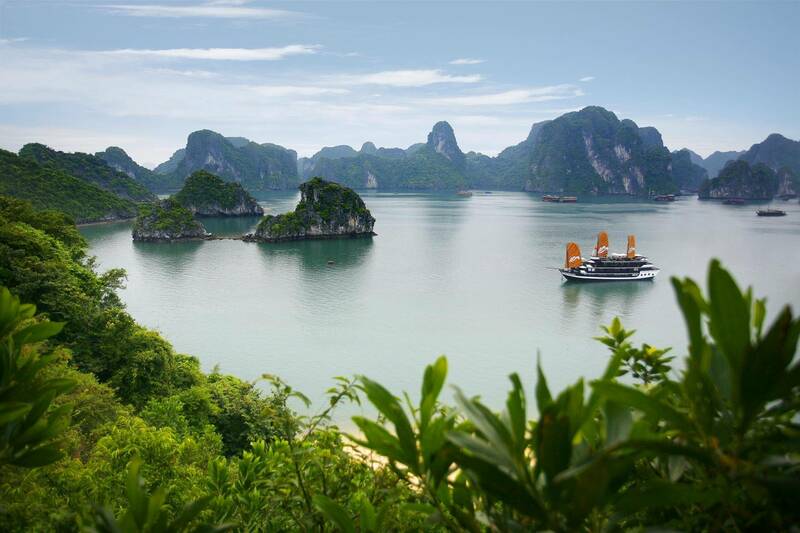 Start cruising and enjoy the romantic waves of Halong Bay with Dragon cruise. 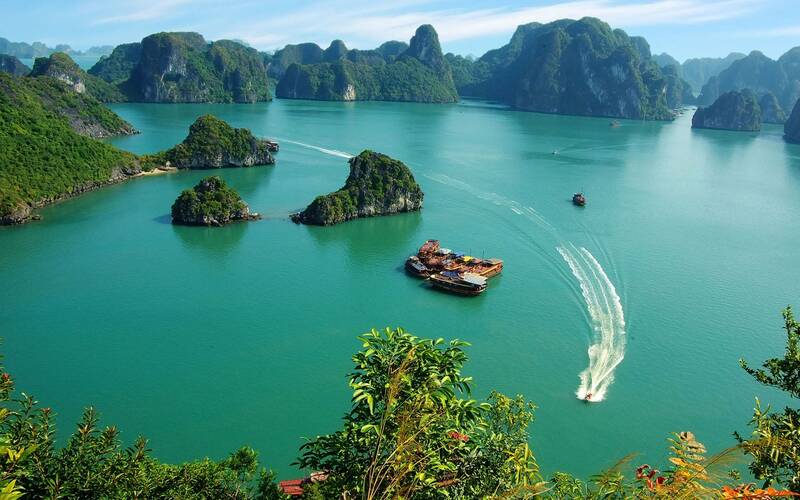 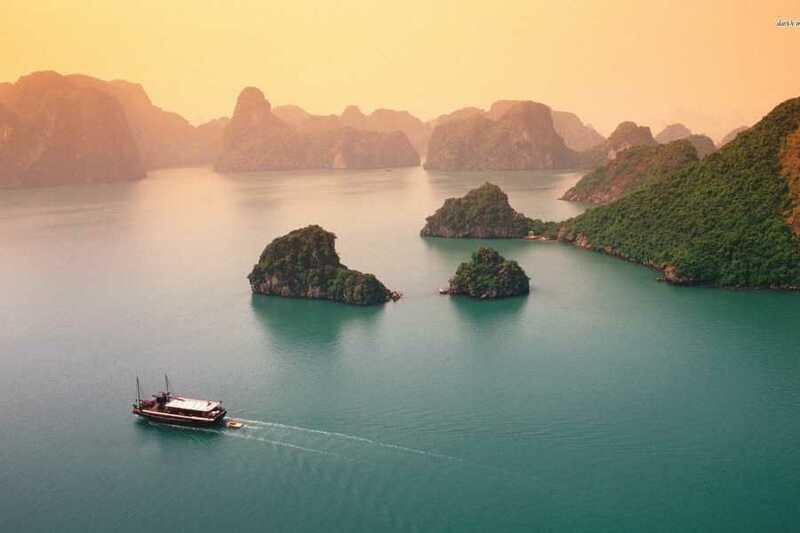 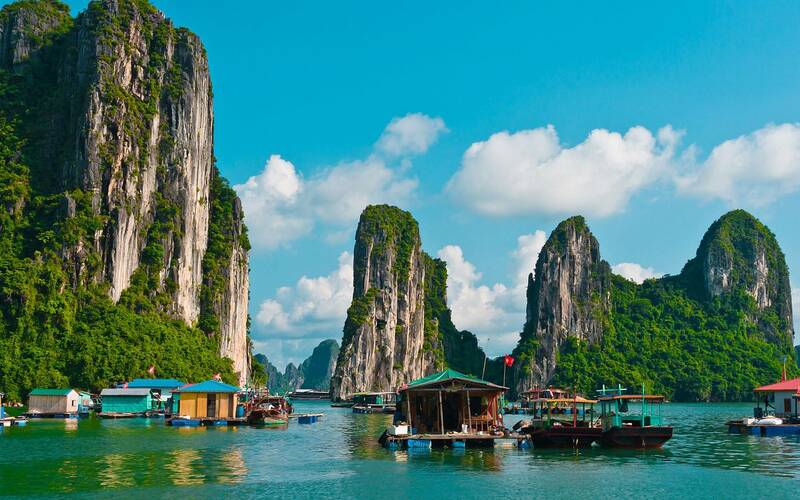 Place to visit : Start from Hanoi Hotel - Ha Long bay - Lunch - Mua Hoa Area - Kayaking & Swimming - Dinner - Cap La Area - Onboard evening activities - Overnight stay. 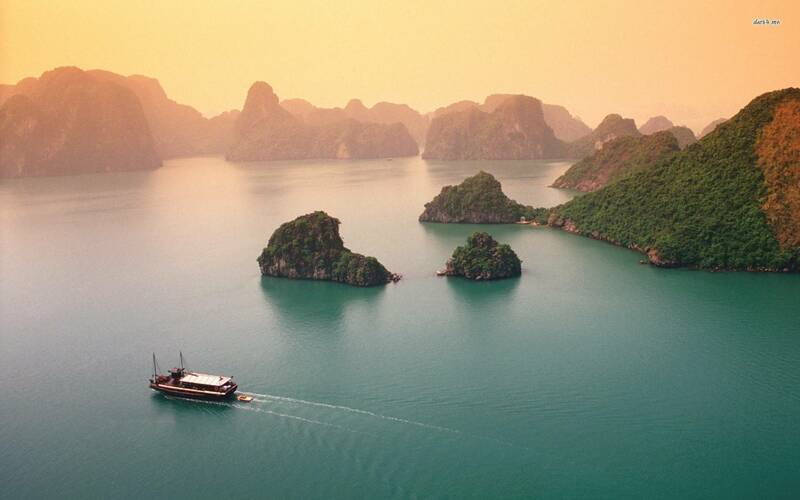 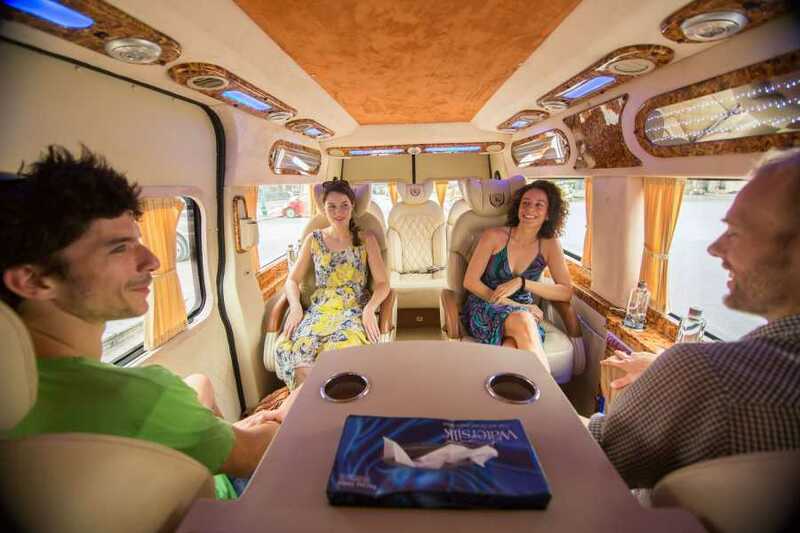 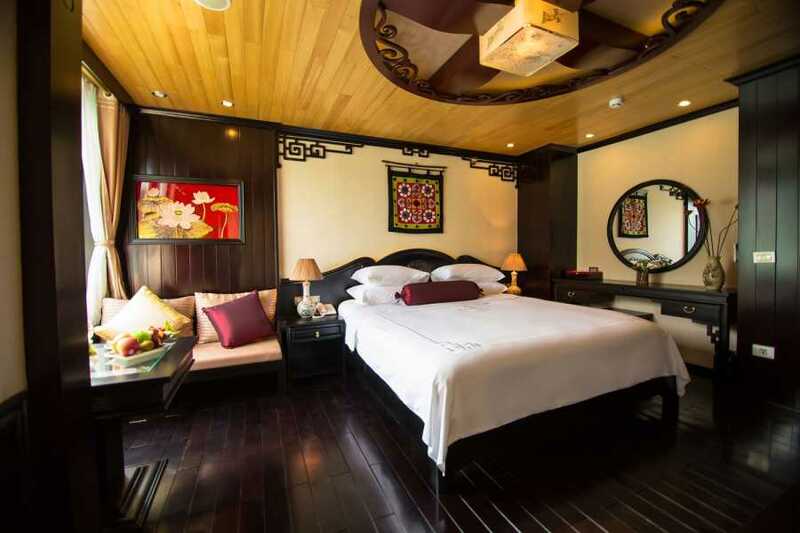 - Pick up at your hotel (in Hanoi Old Quarter).Departure to Ha Long bay. 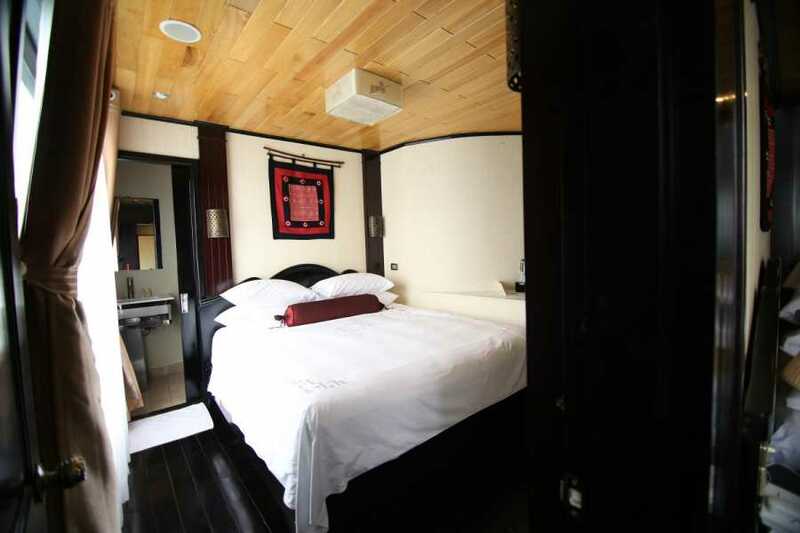 - Embark at Hon Gai harbor. 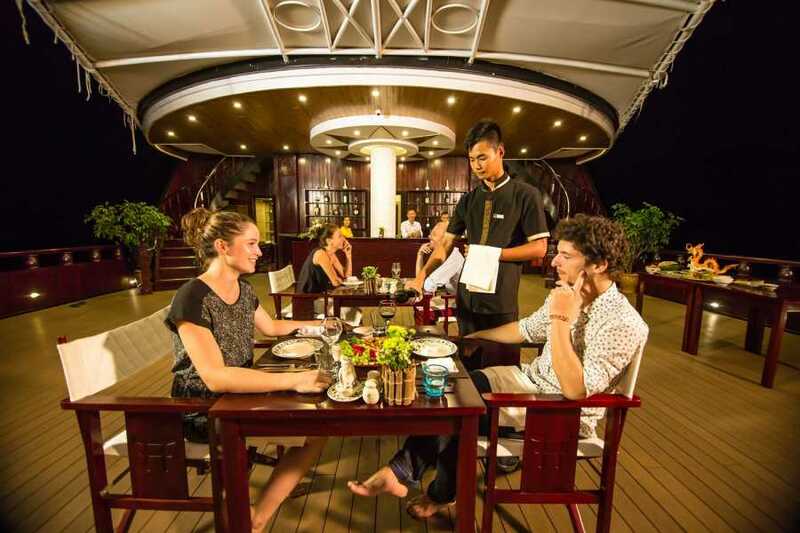 - Check-in, enjoy the welcome drink & cruise briefing. 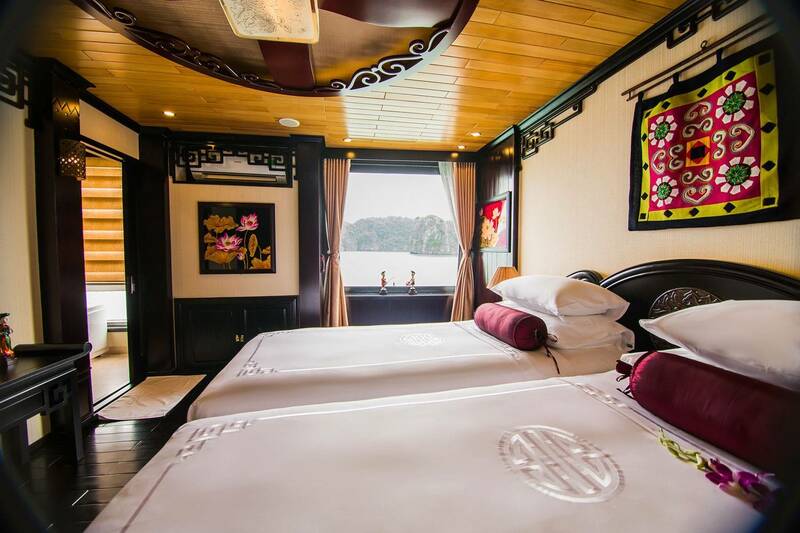 - Have lunch in the outdoor dining room (depending on the weather condition) while cruising to magnificent Bai Tu Long Bay, admire the fascinating formations on the way. 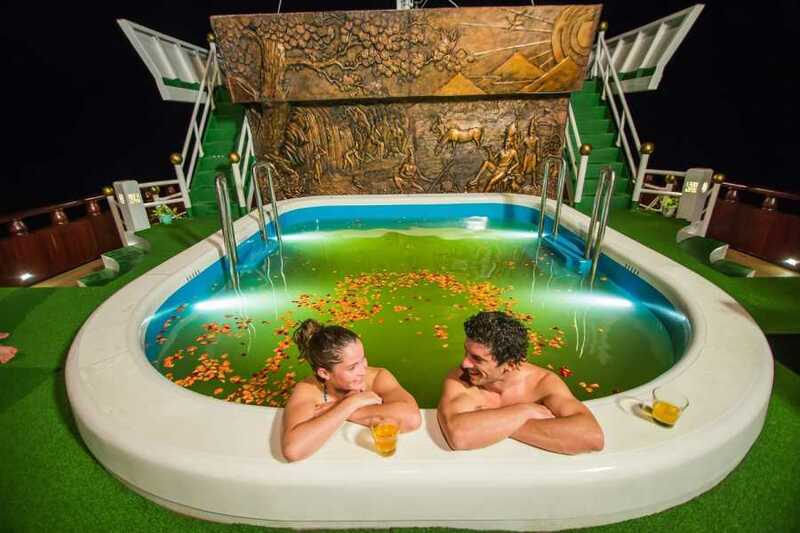 - Back to the boat for refreshing yourselves in the outdoor or indoor Mineral Seawater Pool, Fitness Room or enjoying the spa and massage services while cruising to Cap La area. - Elegant dinner served on board. - Free time for relaxing, communicating with the staffs, evening activities (watching movie listening to music, squid fishing…). 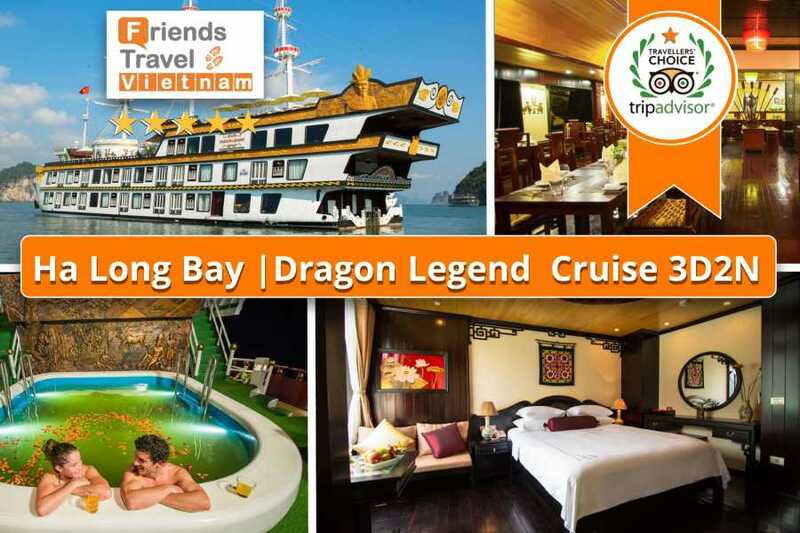 Overnight on Bai Tu Long Bay. 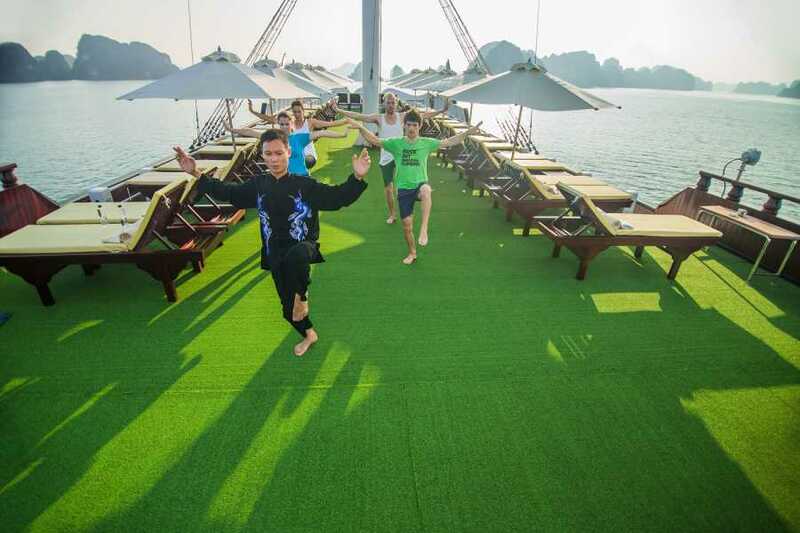 Activities : Tai Chi Class - Visit Vung Vieng Fishing Village - Swimming, Kayaking - BBQ Lunch - Explore Mystery Karst Mountains - Cocktail Party - Dinner - Onboard evening activities - Overnight. - Start a new day with Tai Chi on the sundeck & morning view of Bay’s landscape with a cup of tea or coffee. 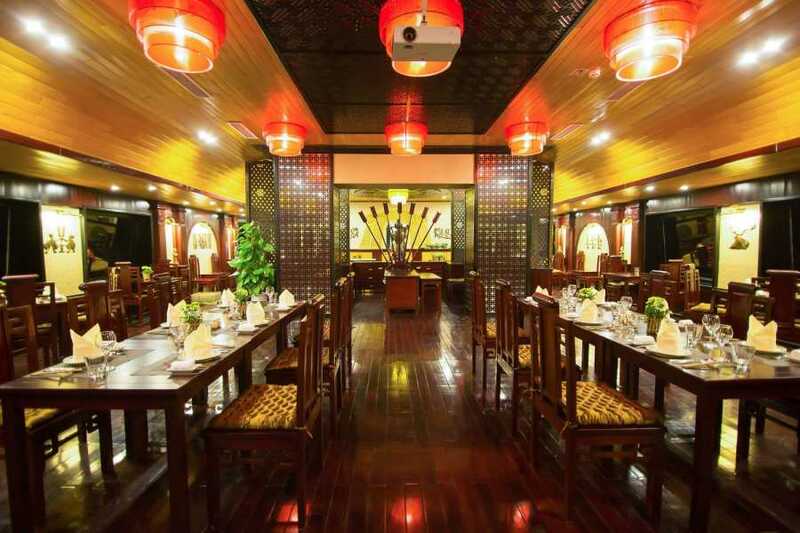 - Have breakfast in the fresh air while cruising to Vung Vieng Fishing Village. - Visit Vung Vieng fishing village by a rustic row-boat. 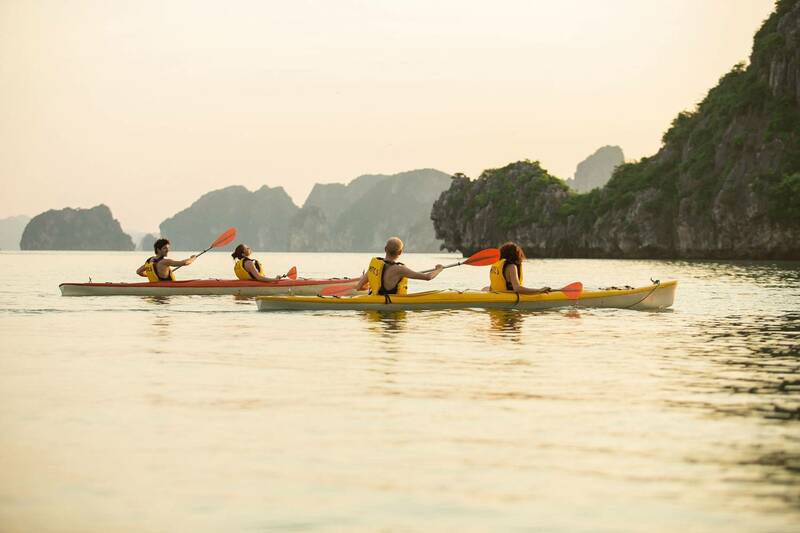 - Swimming, kayaking or visiting Thien Canh Son cave. 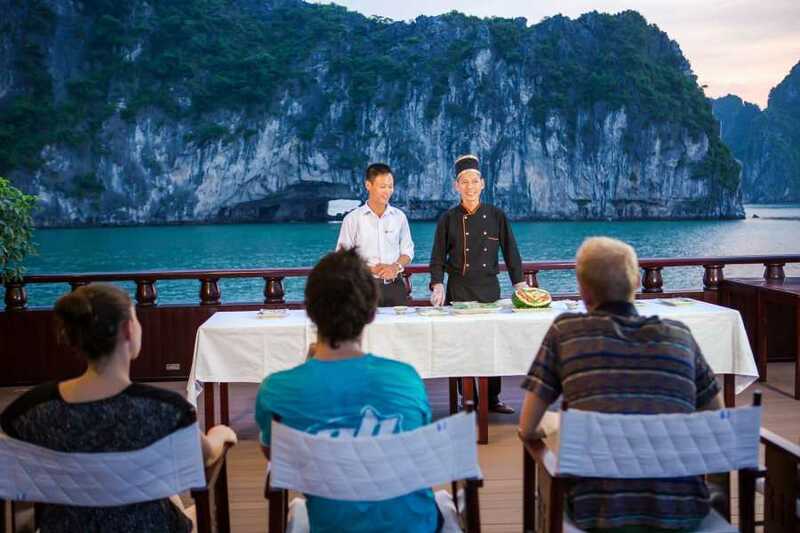 - Having a BBQ lunch on the beach. 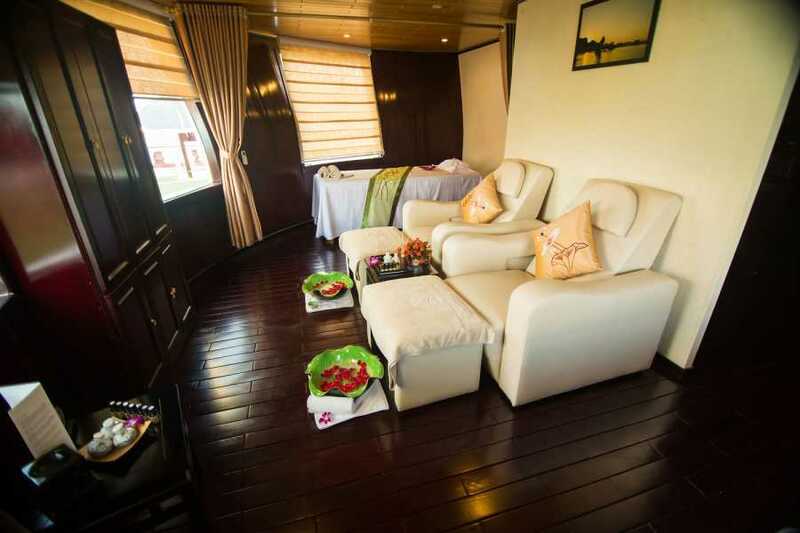 - Have dinner and free time for communicating with staffs, evening activities (squid fishing, beauty spa…) and service on board. 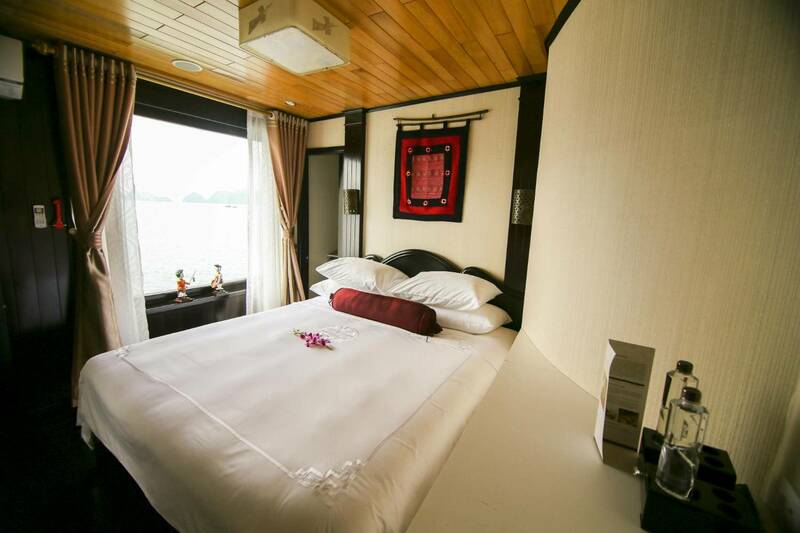 Overnight on board. 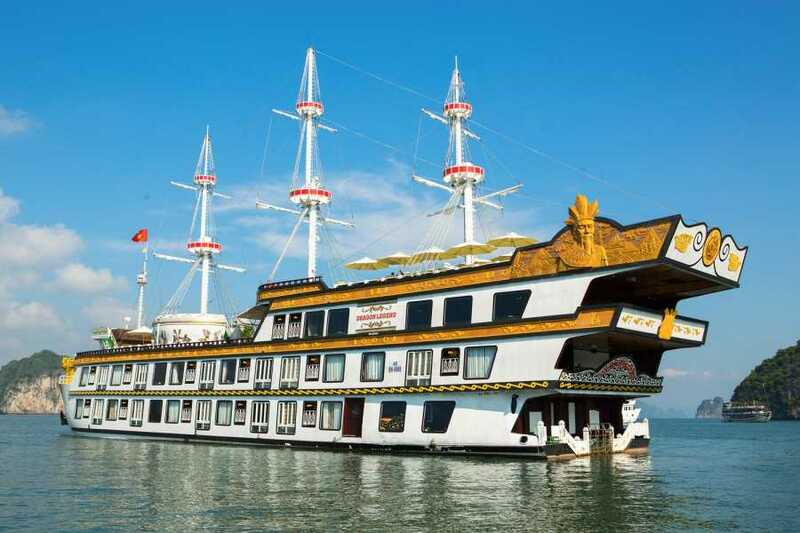 Activities : Breakfast - Cruising towards the harbor - Buffet Lunch - Disembarkation - Yen Duc Village - Water Puppet show - Come back to Hanoi. 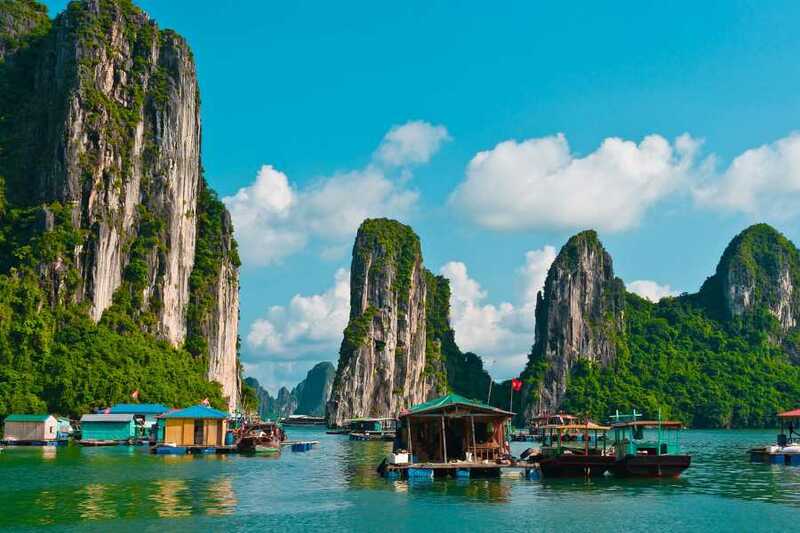 14:00 - 17:00 Arrive in Hanoi. 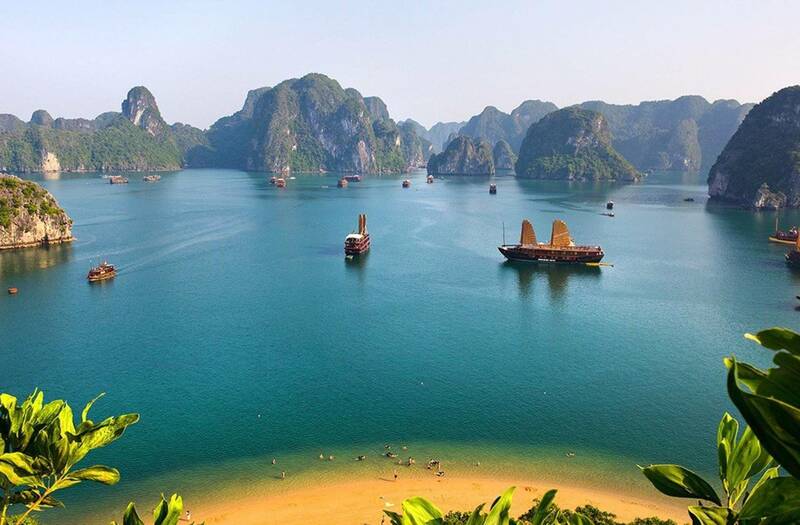 Trip ends.